Is this man the Father of modern content marketing? – noteworthy. Is this man the Father of modern content marketing? Content marketing is essentially non-interruptive marketing. Interesting, relevant content (in pretty much any guise) forms the basis for engagement, with the brand message laced within or around it. It isn’t a new concept by any means, but perhaps the earliest and purest example of modern content marketing was pioneered by a lawyer-turned-musician named Oswald Nelson. 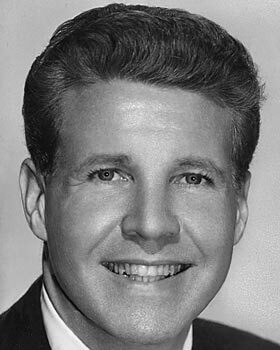 Oswald (Ozzie) Nelson conceived, wrote and performed in ‘The Adventures of Ozzie and Harriett,’ an American sitcom featuring the real-life Nelson family. The show (and here’s the content marketing bit) didn’t just broadcast an initial sponsorship message as many such programs did, it laced the message throughout, making it an integral part of the show. You might think this would be annoying, perhaps even the opposite of non-interruptive marketing. You might think the show wouldn’t stand a chance. But, having first launched as a radio show in 1944, The Adventures of Ozzie and Harriett moved to TV with ABC in 1952 (with Ozzie having negotiated a 10 year deal whether the show continued or not – unprecedented at the time) and continued thereafter until 1966, 4 years more than the contracted period! To this day the show is the longest running live-action sitcom in TV history. Is Ozzie Nelson the Father of modern content marketing? I reckon he’s surely a contender. Take a look at this fantastic Christmas episode from 1956. Can you spot the ‘subtle’ product message? This entry was posted in Branded Content, content marketing, Marketing and tagged ABC, content, content markting, linkedin. Bookmark the permalink.